An effort to study the feasibility of a 700-foot-wide, 300-foot-tall hydroelectric dam at a salmon-spawning stream connected to the Kenai River has generated quick opposition, some of it stirred by a pair of fishing guides getting their first taste of activism. 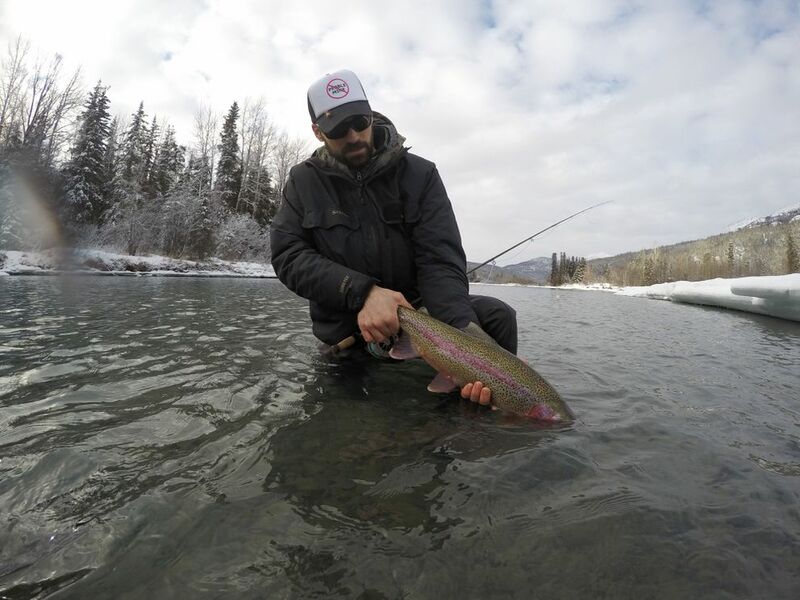 Dave Lisi and Brad Kirr are friendly competitors when it comes to guiding clients on the Kenai River. But both are united in opposition to a dam proposed by Chugach Electric Association for the Snow River north of Seward. Within days of learning about the idea in early March, Lisi, 36, and Kirr, 37, founded a nonprofit conservation group, held a town hall meeting in Anchorage and launched an online petition and website, all to rally opponents and spread word about the prospect of a dammed Snow River. "It's been a whirlwind," said Lisi, owner of Cooper Landing Fishing Guide LLC. "We went from being a couple of guys sitting around talking to getting a lot of grass-roots activity going." The utility's concept, consisting of two smaller dams to help the main dam store water for power generation, is in an early phase. The Federal Energy Regulatory Commission on Wednesday approved a three-year preliminary permit allowing the utility to study the idea and the potential impacts of the dams. Construction, if that ever occurs, would be preceded by many years of environmental studies and other work, officials have said. That hasn't stopped Lisi and Kirr from "jumping in head first" to stop it, as Lisi put it. Lisi said their petition has gathered more than 1,400 signatures, with close to 1,000 comments. Based on the comments, many of the signers are Alaskans who are passionate about protecting the area on the Kenai Peninsula, he said. Kirr, who owns Alaska Kenai Fishing For Fun Inc., and Lisi initially wanted to protect fish and fishermen from what they believe will be the devastating impact of dams to the watershed. But they quickly realized the Snow River area has a larger following that includes moose hunters, hikers, packrafters and others, Lisi said. They also realized a role existed for a group that would protect wildlife and landscapes across the Peninsula, not just in the Kenai River watershed, Kirr said. On March 7, the Peninsula Rivers Conservancy was born. "We are just average Joes," Lisi said. "Instead of being upset, it's like, 'Let's do something about it.' "
Lisi, a Cooper Landing construction worker by day until guiding gets underway in June, said the two men are taking their new role seriously. "We wanted to be a voice for this, but now we are the voice for like 1,500 people and we really need to become overnight experts as much as we can," Lisi said. If built, the dams would create a 5,321-acre reservoir on the glacier-fed Snow River, about 15 miles north of Seward, in the Chugach National Forest. The Alaska Department of Fish and Game says the river supports migrating salmon such as silvers and sockeye. FERC has received dozens of comments opposing the idea, most of them from individuals. Several conservation and local groups, including Peninsula Rivers Conservancy, are asking to intervene in the FERC docket, so they can have a voice alongside state and federal agencies. "We know that any large project in Alaska gets a lot of attention as Alaskans are often engaged in the public process," Julie Hasquet, communications manager for Chugach Electric Association, said in an emailed statement. "We look forward in this preliminary study period to answering many of the questions both we and the public have about the hydropower potential in the North Fork of the Snow River." Hasquet said the company has begun meeting with state and federal agencies. This year, it plans to review studies of the area done by those agencies, to see what additional information is needed to help determine the project's feasibility. The utility plans a site inspection of the area this year, but no new major studies. "If a decision is made to proceed, additional studies would follow in 2018 and beyond," she said. A subcommittee of the Seward Chamber of Commerce, the Alternative Energy Group, has said it supports the idea, but has not filed comments with FERC, according to the FERC docket. The subcommittee has said the benefits include long-term affordable electricity that supports the area's economy, and renewable energy replacing heating oil or natural gas that contribute greenhouse gasses to the atmosphere. However, the Chamber board of directors has not taken a position. Chugach Electric plans to hold public meetings April 17 at the Lakefront Anchorage Hotel and April 18 at the Moose Pass Community Hall north of the proposed project area. The meetings are scheduled to start at 7 p.m.
Lisi and Kirr held a town hall meeting to share their concerns about the project, at Mountain View Sports Center in Anchorage on Friday, March 17. They received organizing help from conservation group Trout Unlimited, which has also filed a petition to intervene in the case. "Fifty people showed up," Lisi said. "It was shocking." They also spoke out Thursday at the Bear Tooth Theatrepub in Anchorage ahead of two packed shows of the Fly Fishing Film Tour. Kirr, a seventh-grade science teacher in Eagle River, said there's no need to dam the Snow River. "We've learned Alaska makes more power than we already use and can store," he said. "It simply just doesn't make sense to destroy natural habitat for more power and construction we don't need." Correction: A photo caption with this story incorrectly said the dam would be on the Kenai River. It would be on the Snow River.